Complexity. Aged for three months in Wild Turkey Bourbon barrels, this luxurious stout has a deep ebony hue and a beautiful mahogany head. The woody, vanilla-like notes imparted by the barrels mingle with aromas of fresh baked bread, toffee, and espresso and envelop the rich chocolate and roasted barley flavors with a fine bourbon character. Our exclusive partnership with Wild Turkey gives Anderson Valley a world class, consistent source of barrel age, allowing our brewers to explore new frontiers in barrel-aged craft beer. Immediate aromas from this beer are of milk chocolate, vanilla, bourbon, oak, slight coconuts, mocha, coffee, caramel, slight anise, brownie batter, bakers chocolate and brown sugar. The flavors are are chocolate chips, brownies, dark chocolate syrup, earthy hops, caramel, vanilla, oak, bourbon, milk chocolate, slight coffee, coconuts, graham crackers, brown sugar, maple, some anise and some roasted hazelnut notes. The beer is really good. 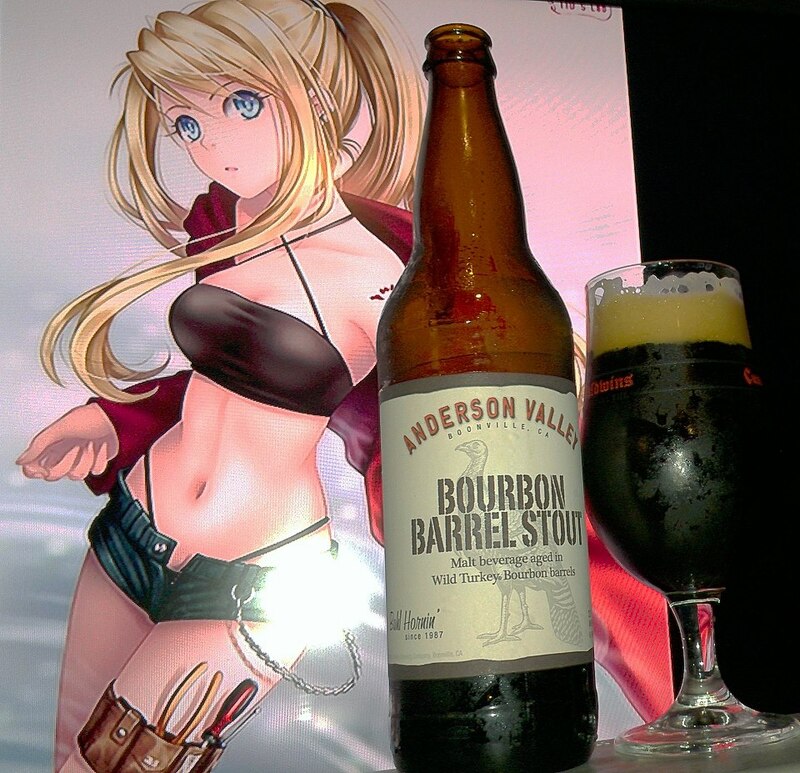 It is not extremely boozy but it does have the right amount of barrel-aged notes to make it awesome. I have had other barrel aged stouts that were definitely better, but this one gets a good grade because it is the type of beer that provides the great bourbon barrel-aged flavors at smaller ABV with closer moderate to easy to drink levels which is good for those that are beginning to roam into barrel-aged territories of craft brewing. It is no Abyss or Chocolate Rain, but it is still a very good beer.